If you're trying to lose weight, the entire month of December can be one challenge after another. You want to enjoy the Season, but you don't want to hit January looking like Santa. 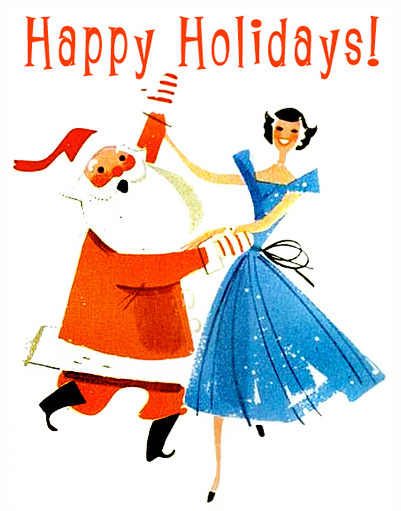 You can enjoy the holidays while still being mindful of your weight loss goals. Keep these secrets in mind and you may hit the New Year farther ahead in your weight loss journey. Keep Moving: Now's not the time to give up on your exercise routine. If you're having trouble getting to the gym, walk around the block for 15 minutes. Park your car far away from the mall entrance, or take a flight of stairs instead of the escalator or elevator. Do whatever you can to burn extra calories. Eyes on the Prize: Put your goal front and center. Write down your goal weight and post it in a place you'll see it every day: the bathroom mirror, garage door, or refrigerator door. What do you want to look or feel like when you've achieved your goal weight? Post a photo instead of a number. The reminder will help you stay on track, making healthy choices throughout the holiday season. Find a Buddy: Losing weight and living a healthy lifestyle is easier when you have friends and family to support you. Find a comrade who will help you stick to your plan in a positive, encouraging way during the holiday season and all year round. Spoil Your Dinner: If you're going to a holiday party, eat a healthy snack or light meal before you leave. By trimming your appetite, you are less likely to overindulge. Host a Party: By hosting yourself, you are most likely to have healthy food choices for everyone. If you're going to a party, taking a healthy dish with you. Fresh fruit and vegetables are always popular. Dips can be made with low fat Greek yogurt instead of regular sour cream or a pasta salad with low carb, 0 calorie Skinny Noodles Shirataki instead of traditional pasta. All the guests will thank you! Avoid Alcohol: Alcoholic drinks are a double whammy because of the extra calories and your lowered inhibitions. If you choose to drink, make it wine or clear liquor with tonic, soda, or plain water to keep the calorie count down. Try to nurse one drink for as long as possible, or alternate between alcoholic drinks and water -- which (Bonus!) also reduces chances of a hangover. 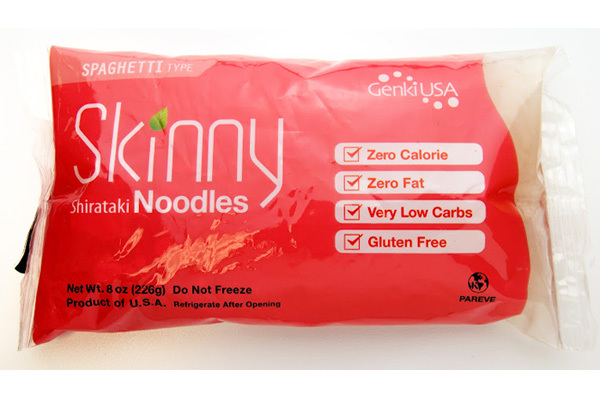 Skinny Noodles Shirataki Spaghetti to a holiday gathering! Get Plenty of Sleep: Yes, it's sometimes hard during the hectic days of December to get enough shut eye, but recent studies suggest you need at least 8 hours a night to keep key hormones in balance. In particular, those who were sleep-deprived had higher levels of a hormone called ghrelin that stimulates appetite. Remember hitting the sack just might help you wiggle into your skinny jeans sooner rather than later.